Queen Elizabeth I was an influential Queen of England reigning during a time of economic, political and religious upheaval. She presided over an era of economic and political expansion, which lay the framework for Britain’s later dominance as a world power. It was Queen Elizabeth who also established the supremacy of Protestantism in England. 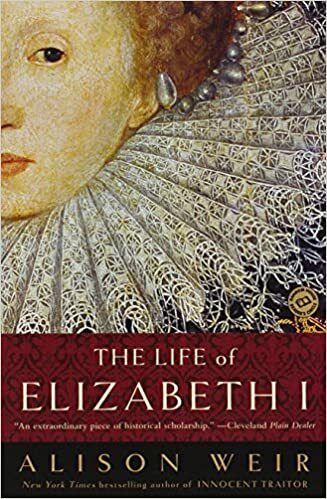 Elizabeth was born in Greenwich, England on 7th September 1533. She was the daughter of Henry VIII and Anne Boleyn. Anne Boleyn was Henry’s second wife. He divorced his first wife Catherine of Aragon after she had failed to produce a male heir. Unfortunately, Anne Boleyn also failed to produce a male heir and would be executed for treason when Elizabeth was only two years old. Elizabeth was brought up at Hatfield House, Hertfordshire. Later she would be brought up in London with Catherine Parr (Henry’s sixth wife) acting as stepmother. As a child, Elizabeth proved to be precocious and quick to learn. She excelled in academic studies and also sports; she learnt the art of public speaking, which proved to be most significant later in her reign. Following the death of Henry VIII and his only son Edward, there was uncertainty about who would inherit the throne. For nine days a cousin of Edward, Lady Jane Grey was made queen before being disposed and then executed by Mary I. Mary’s reign was unpopular as she sought to revert England to Catholicism. Her popularity was further weakened by her distant marriage to Phillip of Spain. At one time Elizabeth’s life was in danger and Mary I had her half-sister arrested and kept in the Tower of London. However, Elizabeth was able to convince Mary she posed no threat to her throne and eventually, Mary came to trust the Protestant Elizabeth and named her successor to the throne. Her speech was enthusiastically greeted by her troops. The subsequent defeat of the heavily fortified Spanish Armada was greeted as a triumph for England and in particular Queen Elizabeth. Her personal popularity reached an all-time high. It is said she was an early skilled operator of public relations. She often met her subjects in person; by being highly visible she made the monarchy accessible and popular as never before. Towards the end of her reign, she is reported to have said. “This I account the glory of my crown, that I have reigned with your loves”. She had many important skills as both Queen and statesman. She was quick-witted, intelligent and articulate. She surrounded herself with skilled advisors and defused many potential crises. However, she was also criticised for being at times both ruthless and indecisive. Several political opponents were executed for treason, although in comparison to her grandfather Henry VIII, her reign was comparatively enlightened. Throughout her life, she remained unmarried, despite the frequent attempts of parliament to persuade her to provide an heir. However despite many relationships with members of the court Elizabeth never gave any indication she wished to marry. For this reason, she was often referred to as the “Virgin Queen”. However, her lack of direct heir meant she was the last of the Tudor monarchs. After her death, the Crown passed to James I.
Citation: Pettinger, Tejvan. 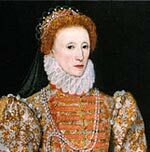 “Biography of Queen Elizabeth I“, Oxford, UK – www.biographyonline.net. Published 17th January 2011. Last updated 13 February 2018. United the country in a period of suspicion between Catholics and Protestants. Presided over a period of cultural and literary development in England.